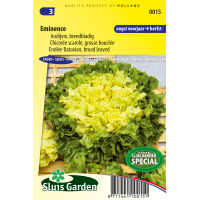 Eminence is an independent variety of the type "Nummer Vijf 2". 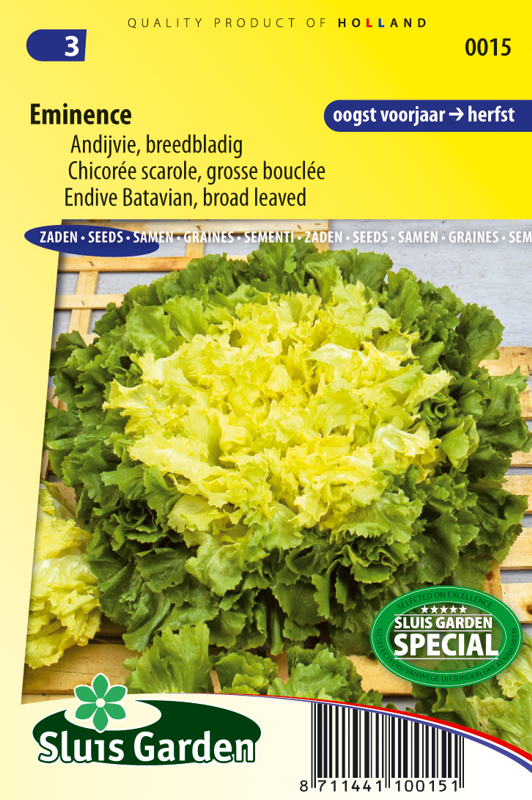 Quickly forms exceptionally large and attractively compact heads that have good resistance to running to seed and the leaf edges yellowing. Attractive yellow heart. Eminence is very winter hardy and can therefore be cultivated practically throughout the year in a greenhouse or in the garden. Keep soil moist during the cultivation. Transplant to well fertilized soil. Very tasty.